So here comes the time of the year, my birthday week, when is always filled with great meals with different groups of friends and family. 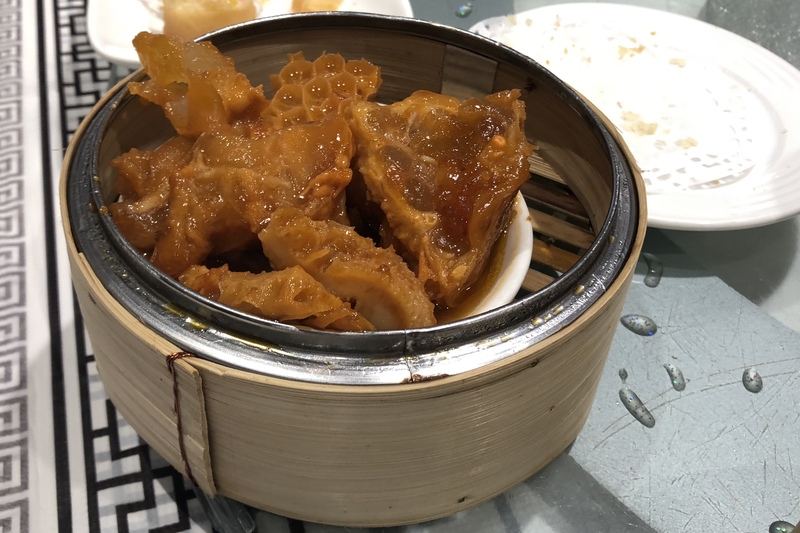 This year, my university buddies took me and LoLo (who I share the birthday week with) out for dim sum. I was asked to pick a central spot, ideally in East Van or Burnaby. 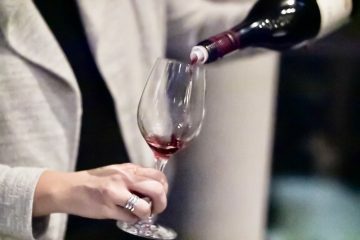 This article on BC Livings came across. The post is a little old (2015) and I have no idea who chef Ivan Lau is, but I took his recommendation and booked Dai Tung on Kingsway. I did visit their other location in Marpole earlier this year, but it was a short business meeting over tea and I barely tasted anything. 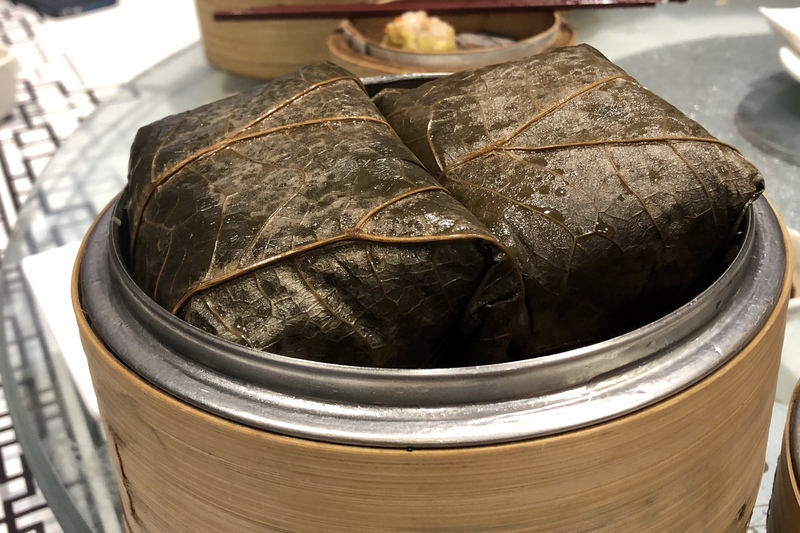 Nevertheless, I was excited to try a recommended dim sum spot that’s not in Richmond. 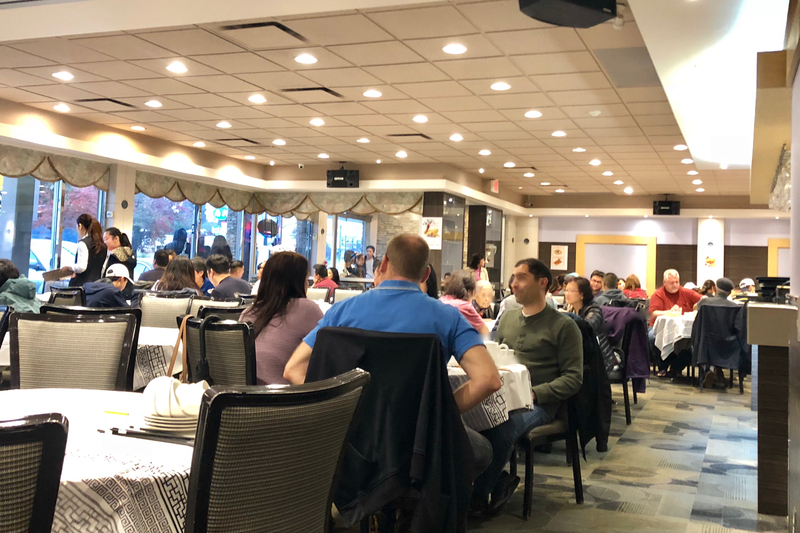 The restaurant was fully packed, which is unsurprising for any popular dim sum place on Sunday. The interior was nice, and it looked like a recent renovation. 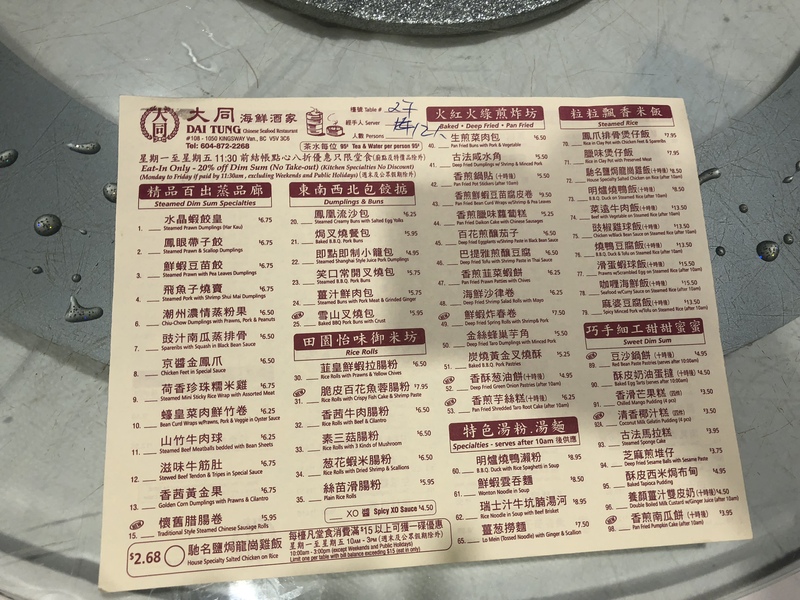 Looking at the dim sum menu, the price is on par with the average fine dining Canto restaurants in Richmond. The Deep Fried Taro Dumplings ($5.50) and the BBQ Pork Pastries ($5.25) brought a good start. 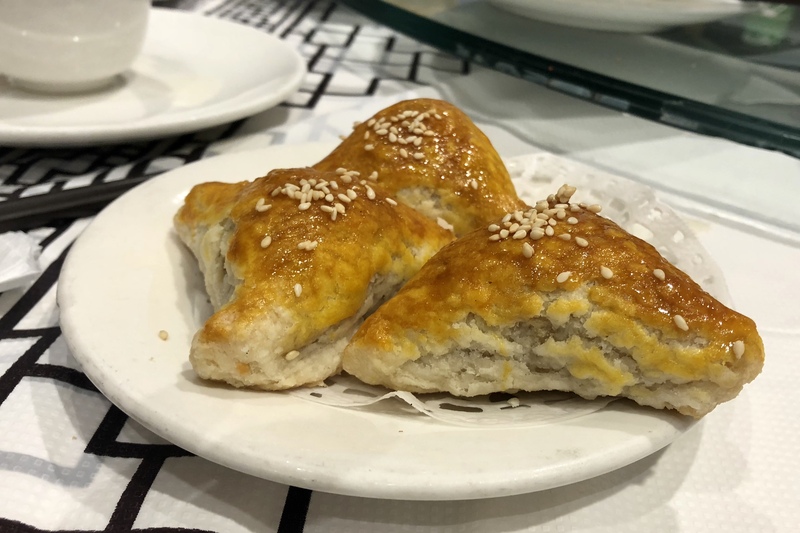 The exterior was nice and fluffy, and the filling was soft and flavourful. 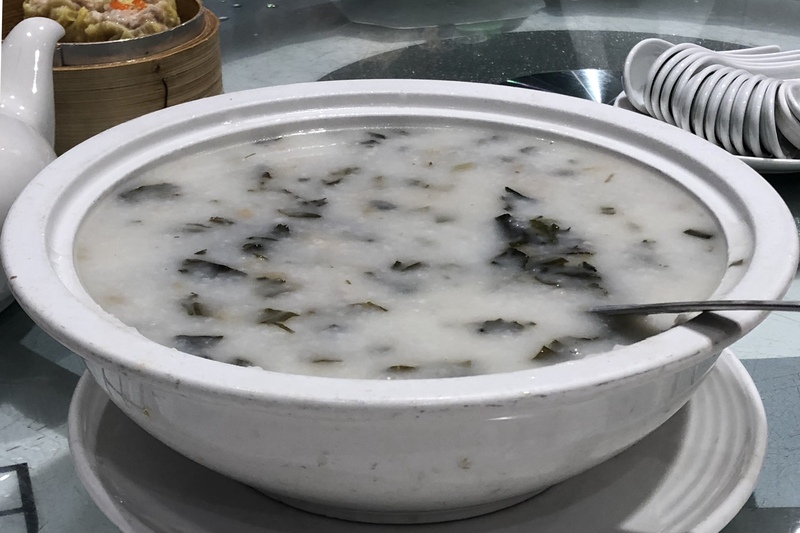 The Dried Bak Choy & Pork Bone Congee was good. I like that the dried greens were finely chopped. My mom made this a lot when I was a kid, and I was always bothered by the big chunk of dried greens. I’m always a fan of fried shrimp spring roll at dim sum. But their Deep Fried Shrimp Salad Roll ($6.25) was a little strange to me. The cold shrimp salad was buried with way too much mayo. 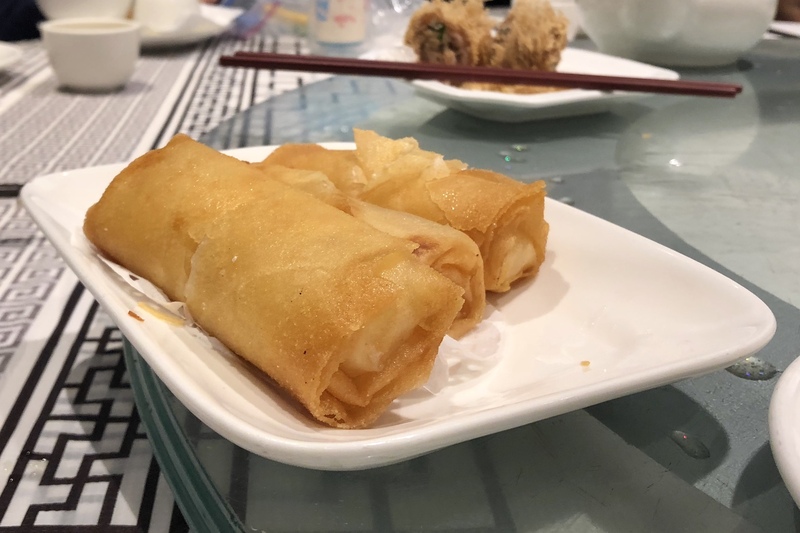 Personally, I prefer my fried spring roll warm, not cold. Here comes the wave of steamed dumplings. And I was having one of those what-the-heck moments. 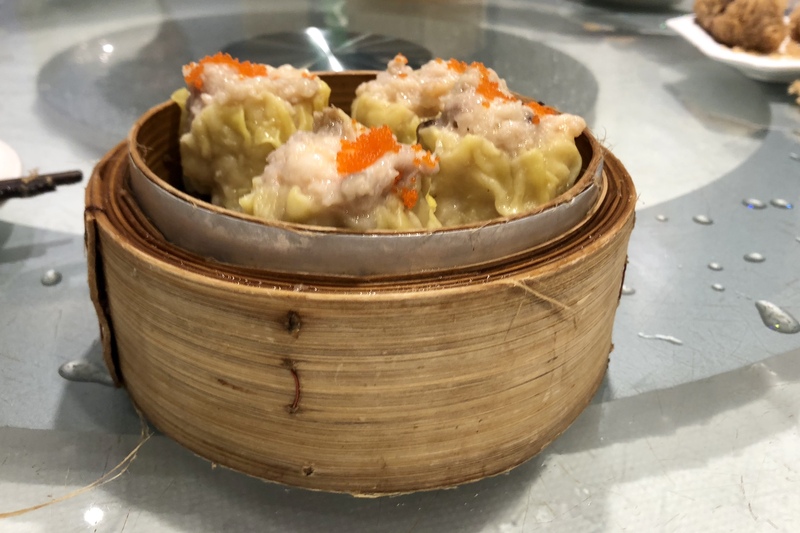 I was not impressed with the quality of the minced meat in the Pork & Shrimp Siu Mai ($6.75) and Beef Meatballs ($6.25), which lacked the dense and bouncy texture. 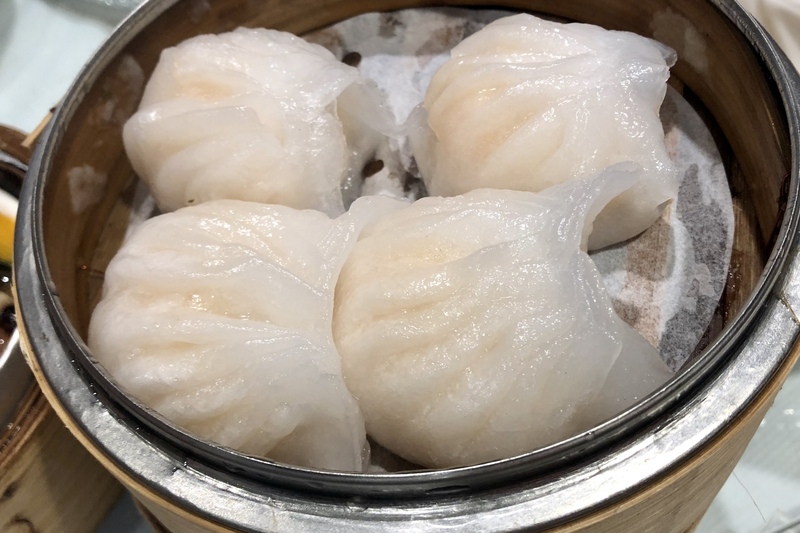 But the biggest disappointment was the Har Gow (or Shrimp Dumplings $6.75), which were gigantic but with super thick dumpling skin. 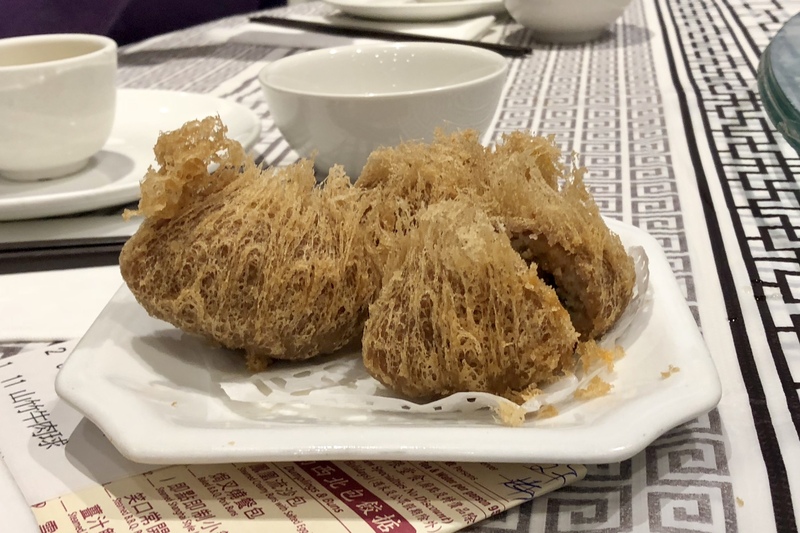 It was horrifying as this is the king of dim sum and they are treating the king so poorly here. 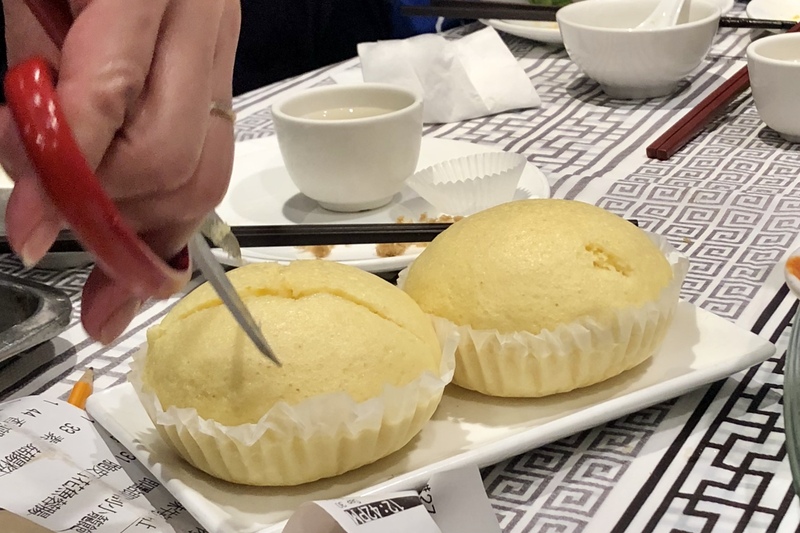 One of my buddies tried to pick one up with his chopsticks but the skin broke instantly, and the colourless and miserable looking filling fell right out. Okay, the horror continues. The ribs in Spare Ribs with Squash ($6.50) seemed overly marinated and strangely over tender, and the Chicken Feet ($6.50) were even worse than the ones I bought at Pricesmart. 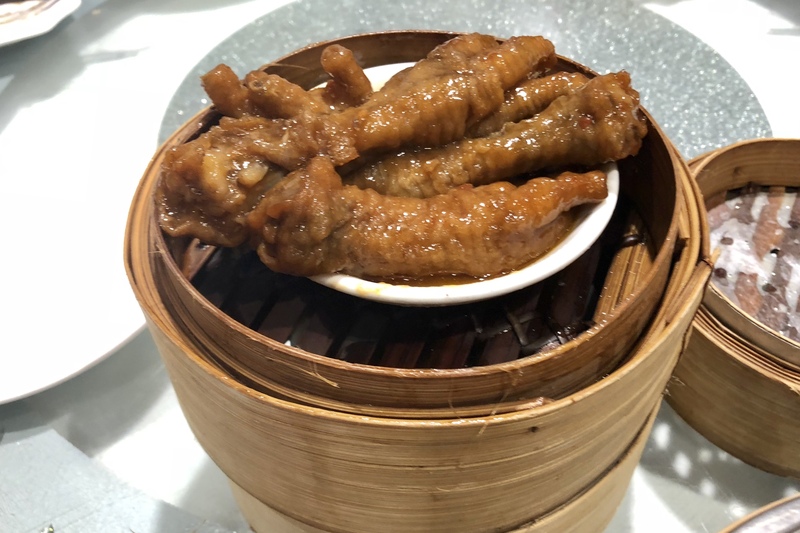 I understand that the chicken feet dish is very labour intensive, which requires blanching, frying, braising and steaming, a lot work in order to achieve that bursting-of-collagen texture. But all I tasted was the slightly over crunchy skin and there was barely any meat and soft cartridge. 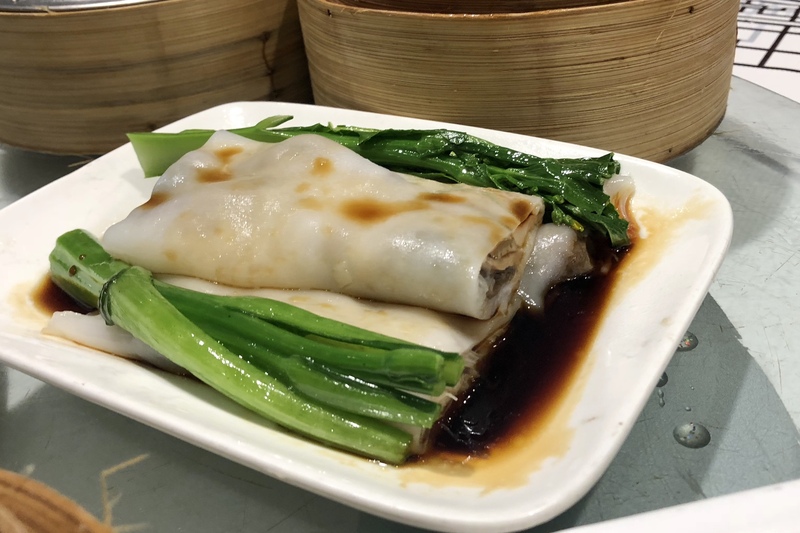 The Braised Beef Tripe and Tendon ($6.76) and Steamed Sticky Rice Wrap ($6.75) were the better dishes, both flavour and texture wise. 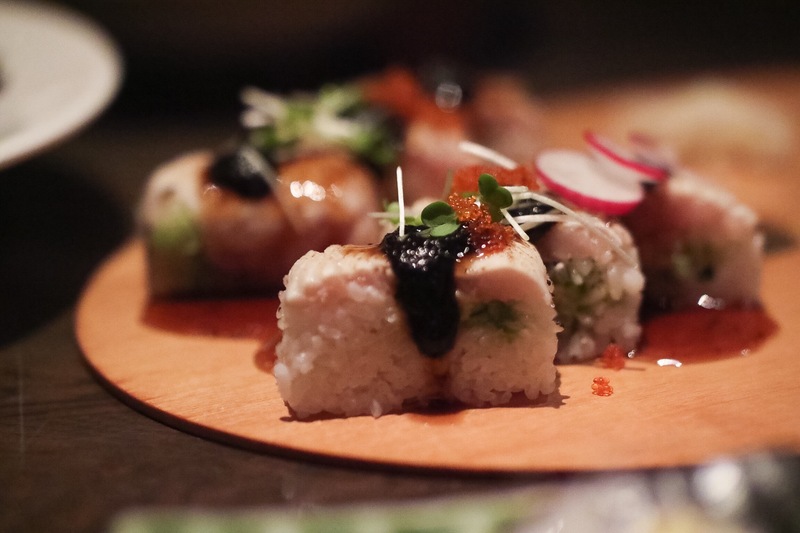 The steamed rice roll dishes were okay. I had more much refined ones elsewhere, especially at the Richmond restaurants. For the sweet dishes. We found the Traditional Sponge Cake ($3.95) not being presented traditionally. The size of the cakes was pretty small compared to the ones from other places. I guess smaller cakes are easy to make and steam, but harder to keep it soft and moist. 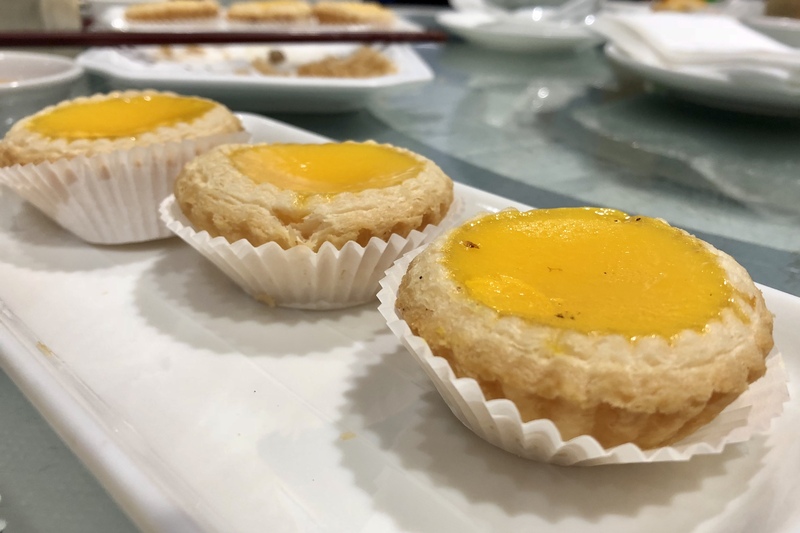 However, the Egg Tarts ($4.50) were pretty good, although not amazing. 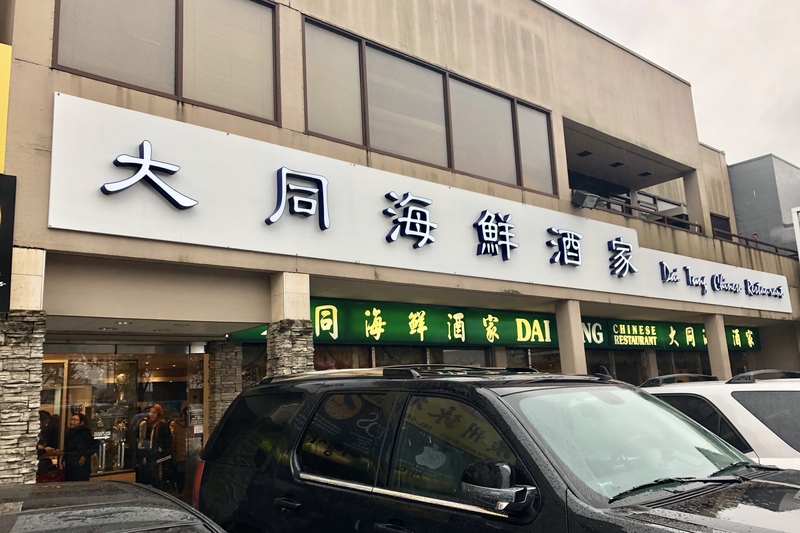 I’m not sure if Dai Tung represents the highest quality of dim sum in East Van, but their price definitely brings up the expectation. But paying as much as what I pay in Richmond, I was disappointed with their quality. 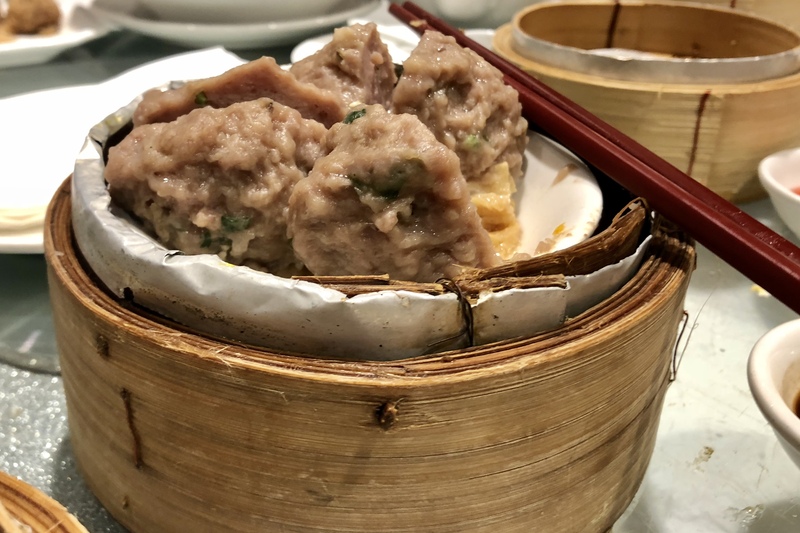 When a dim sum place fails on Har Gow (shrimp dumplings), the king of dim sum, there isn’t much to say about the rest. Trust me! The place, however, is super busy. This just shows that, there are no other better choices in the area. The service here is quite good despite the high volume of customers. 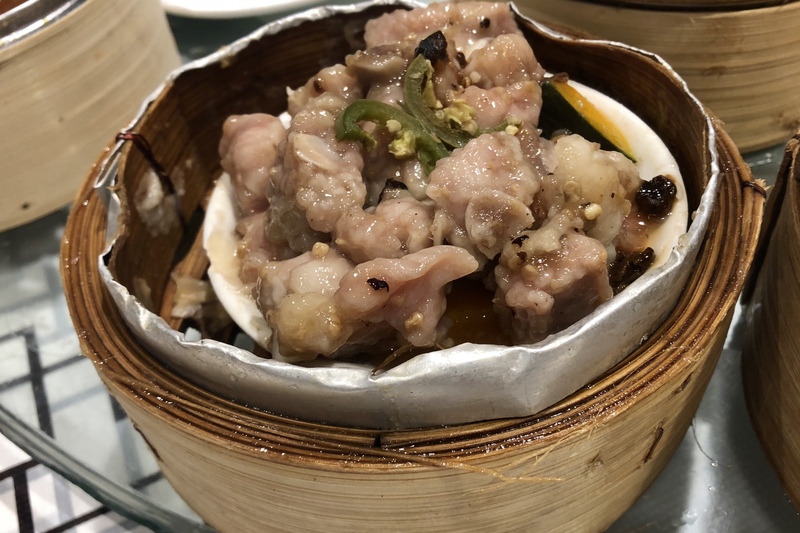 So if you don’t really care about getting the dim sum with great quality, you might enjoy coming here.